THE PET SERVICES HAVE ARRIVED! We are now fully insured for Dog walking, Pet sitting, House visits, Doggy Day care AND Small animal boarding!!!! Our Pet Services: Find Out More! we are now fully insured via PetPlan Sanctuary for dog walking, pet sitting, doggy day care, house visits AND small animal boarding. 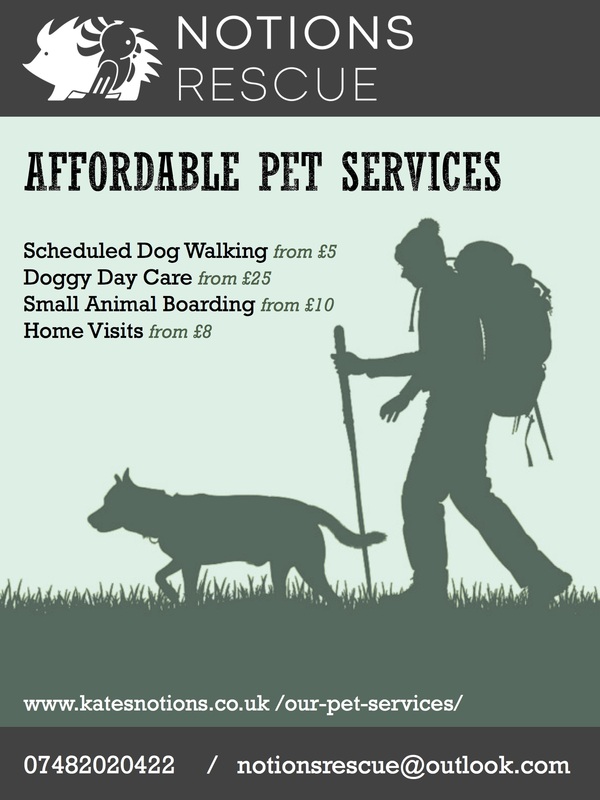 Check out our new ‘Our Pet Services’ page for further details, pricing and contact information!